TheTea started its activity in 2015 and it is the fruit of our labour and passion to the Asian culture of drinking and appreciating the tea. Tea bushes of camellia sinesis and famous drink made of its leaves were the inspiration for poets, painters or philosophers for almost two thousand years. Tea also was needful as a meditation tool which helped chinese Buddhist monks to keep their mind pure and focused during all day meditations. Even though, nowadays tea is often considered and described as an everyday drink, the diversification of tastes, origins, history and different traditions of drinking and tasting are amazing. Since the year 2000, as tea lover I was gaining an experience of tasting and selecting good, traditional teas. After many years of tea sipping I tasted many kinds of good and bad teas. And now I am ready to share my knowledge, passion and experience with you. 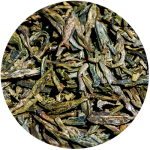 TheTea wish to provide only traditional, high quality teas from China, Taiwan and India. 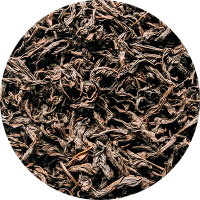 Many kinds of our teas are produced in very small amounts not exceeding 20kg production per year. Due to close relationships with many tea growers and experienced tea experts I can offer you fresh and high-quality teas almost impossible to reach at the common tea market, even in China.